On last night’s episode of ESPN’s sports talk show “Olbermann”, eight division world champion and boxing icon Manny Pacquiao gave the former political satirist an opportunity to probe the Filipino Congressman, concerning the future and past of his legendary fight career and his life as a politician. The seven minute interview predictably ended with the always intriguing question regarding a mammoth and potentially historic fight with the pound for pound king of boxing, Floyd Mayweather Jr. When asked if he would ever fight Money Mayweather, the Filipino Congressman had much to say. When asked by Keith Olbermann if the sole reason why the highly anticipated match-up had not materialized yet was because Floyd just didn’t want to do it, Pacquiao gave a very candid but expected response. The latest reason and alibi given to Mayweather’s fans and detractors alike as to why the potential super fight between Manny and Floyd is not a possibility at this time, is Mayweather’s outspoken disdain for Pacquaio’s longtime promoter and Floyd’s former boss, Bob Arum, CEO of Top Rank, Inc.
“We all know the Pacquiao fight, at this particular time, will never happen, and the reason why the fight won’t happen is because I will never do business with Bob Arum again in life, and Pacquiao is Bob Arum’s fighter,” Mayweather recently told FightHype.com. 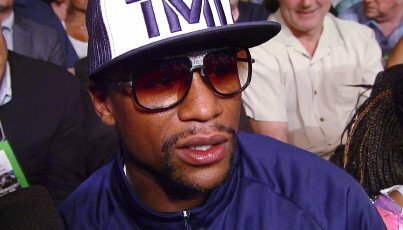 Although the controversial remarks made by the biggest money maker in the sport seemed rational and understandable to a large percentage of his ever growing legion of adoring fans, Mayweather’s excuse appeared to be just another excuse to many of his detractors and die-hard boxing enthusiasts. According to Pacquiao’s promoter, Bob Arum, Floyd’s position concerning a Pacquiao showdown appeared to be tyrannical. The always opinionated Top Rank leader referenced Winston Churchill and Neville Chamberlain, two former British leaders with opposing views towards the evil dictator; with the latter being known for his policy of accession towards Hitler. Aside from the ghastly Adolf Hitler/Floyd Mayweather Jr. comparison made by the veteran fight promoter, is his view of the current boxing cold war between Mayweather and Pacquiao realistic? On February 4th, the biggest name in boxing extended a poll among fight fans to potentially decide his May 3rd opponent with the only choices being Amir Khan and Marcos Maidana. Although the fight fans have taken to the proverbial ballot box by voting roughly 70% for Maidana and 30% for Khan, as of Thursday, February 6th, should the die-hard and casual fight fans alike take a page out of Monte Brewster’s fictional handbook and choose to vote “None of the Above”? Should the paying consumer continue to support match-ups and fights that aren’t overwhelming favorites? If an overpowering retort from the knowledgeable fight fans around the globe were to mirror a “None of the Above” sentiment, it’s hard to imagine what the pound for pound king’s response would be. Would Mayweather attempt to force feed the hard working consumer with a hefty PPV price of $70.00 HD, knowing that the fight public doesn’t approve of a main event with a carefully selected opponent? Or would the money man of boxing concede to the demands of the paying consumer, the real bosses of the sport, and finally give the fight fans what they really want and justly deserve? Until the hypothetical scenario becomes a reality, fight fans can continue to look forward to an inevitable match-up between Floyd Mayweather Jr. and anyone but the only eight division word champion the sport of boxing has ever seen.